COMPETE IN THE FOOTSTEPS OF ELITES! For the past 25 years, big-time indoor track and field competition for high school athletes in the Pacific Northwest has been largely absent. 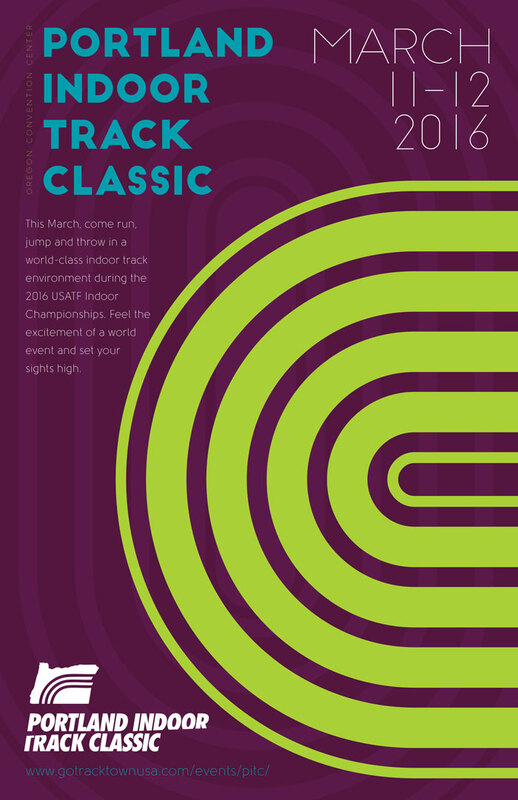 On March 11-12, the Portland Indoor Track Classic will debut on the same 200-meter banked oval track that will be used for the USATF Indoor Championships and the IAAF World Indoor Championships at the Oregon Convention Center. This Invitational meet will assemble the top high school athletes from the Pacific Northwest to compete in an exciting two-day meet at the OCC. It will be held on the same days as the USATF Indoor Championships, where Team USA will be chosen to compete in the 2016 IAAF World Indoor Championships, March 17-20. The Portland Indoor Track Classic is designed to provide an electric atmosphere and elite competition for student-athletes from both small and large schools. Participants will get a once-in-a-lifetime opportunity to run on the same track as some of the world’s greatest track and field athletes!